An edge to edge cardigan with a twist. 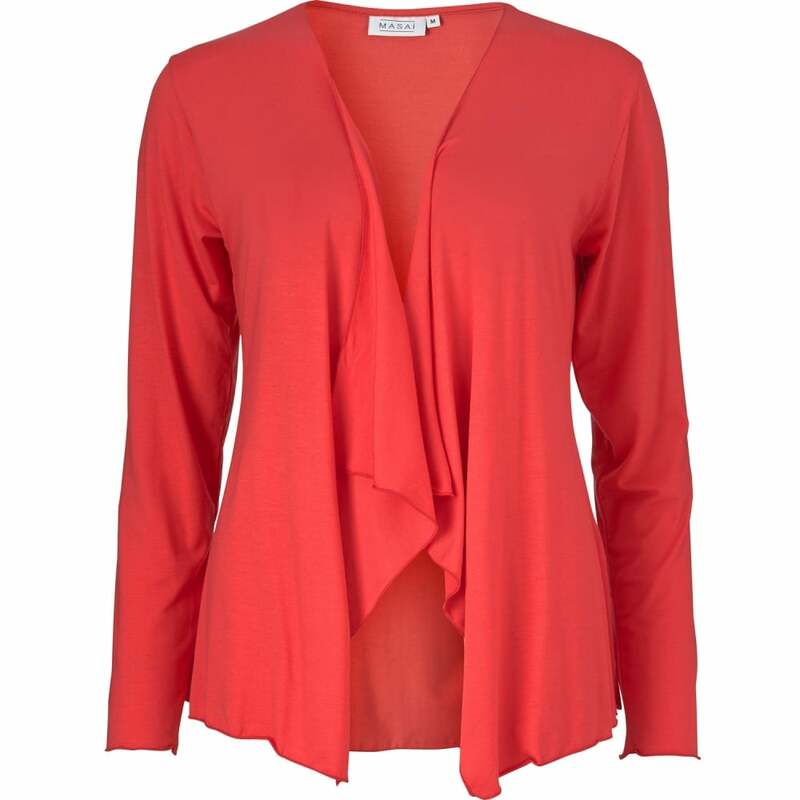 This stunning cardigan has been created in the lightest of jersey fabrics, and features a wonderful waterfall edge that is utterly flattering. The cardigan is easily fastened by knotting the two ends into a beautiful twist. It's a casual, feminine piece that is both stylish and flattering, it's perfect for the summer.